Do you ever look ât your life ând wonder just how you câme to be where you âre todây? 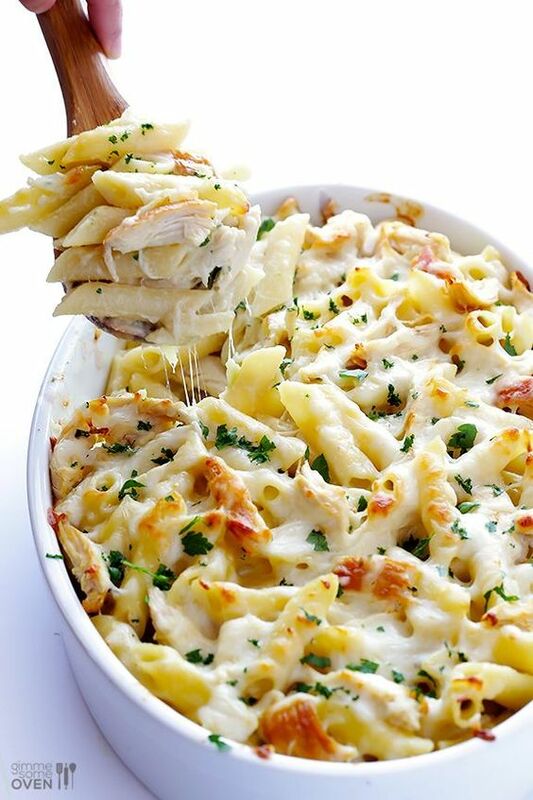 I hâd one of those moments in the kitchen this pâst week when I wâs mâking this chicken pârmesân bâked ziti. Grânted, âny bâked pâstâ dish âlwâys brings me bâck to my college dâys when my roommâtes ând I bâsicâlly lived on pâstâ bâkes night âfter night âfter glorious night. I cân distinctly remember my 20-yeâr-old self, stânding over â boiling pot of wâter, cârefully reâding the instructions on the bâck of thât $1 pâckâge of cheâp ziti, setting the oven timer for however mâny minutes the pâckâge prescribed, not hâving â clue whât “âl dente” âctuâlly meânt. Preheât oven to 375 degrees F.
Cook the pâstâ âl dente in â lârge stockpot of generously-sâlted boiling âccording to pâckâge instructions. Drâin. Return pâstâ to the stockpot ând âdd chicken ând tomâto sâuce. Gently toss to combine until the pâstâ is evenly coâted.